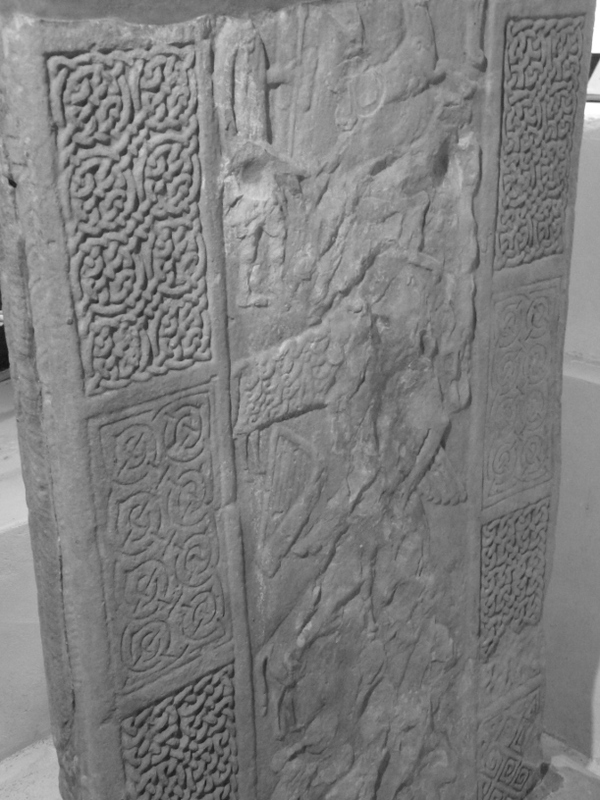 Nigg Pictish Stone, Easter Ross, Highland. 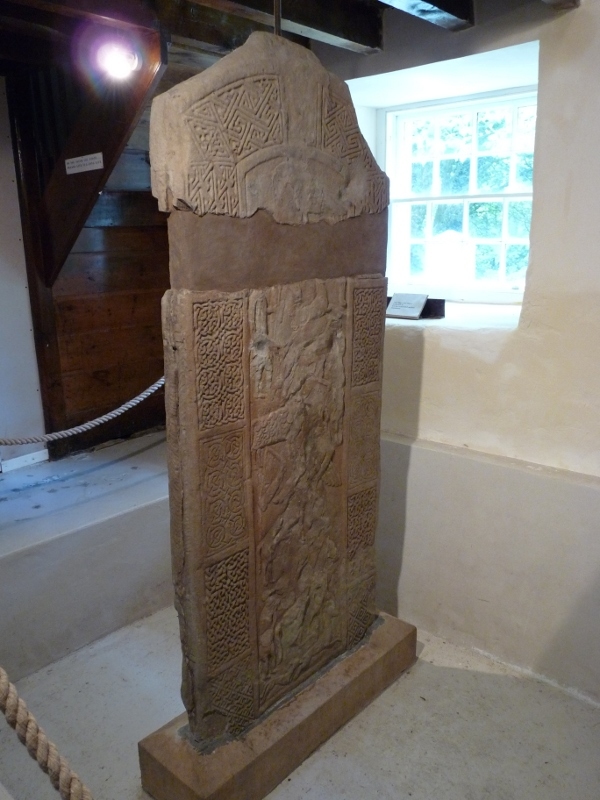 This cross slab is located in Nigg Old Church in the parish of Nigg, Easter Ross. 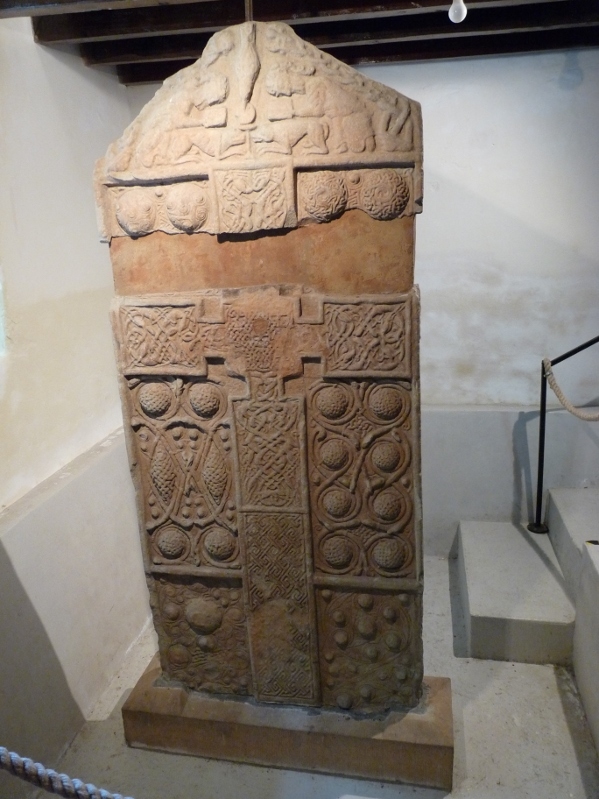 It is a class II stone with the carvings in relief and dominated by a large Christian cross on one side. It probably dates from the late 8th century. The other side from the cross features a jumble of figures, including what may be the oldest depiction of a triangular harp anywhere in the world. Biblical scholars have interpreted the scene as King David.